I will show you how to quickly check the IP address of your Mac computer and the IP address of the router your Mac computer is connected to. 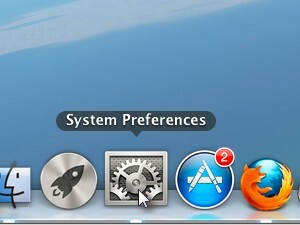 In System Preferences window click Network. 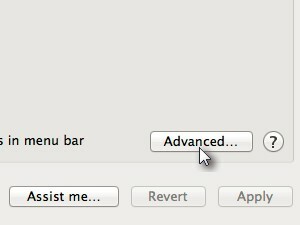 If your Mac is connected to internet or router via cable then you should notice the green light at the Ethernet entry. In the right pane there is the IP address of your computer and the IP address of the router you are connected to. In my case 192.168.10.122 is the IP of my iMac and 192.168.10.1 is the IP of my router. 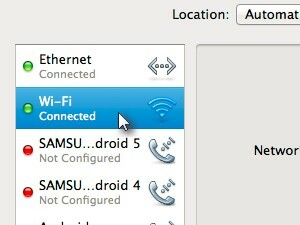 It quite similar if you are connected to a router via Wi-Fi (Wireless network). 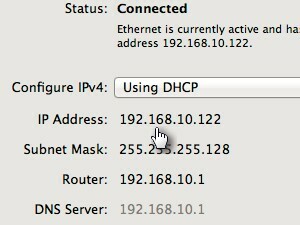 There is a quick view of your IP address (see picture). 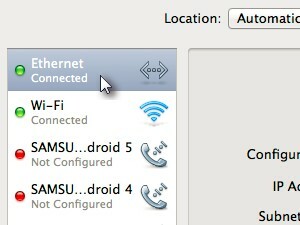 To find out the IP address of the router, click the Advanced... button. 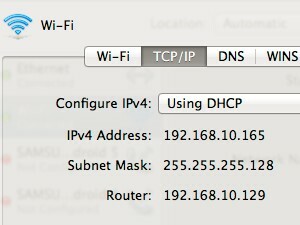 Click TCP/IP and there is your iMac's Wi-Fi IP address and the router IP address. 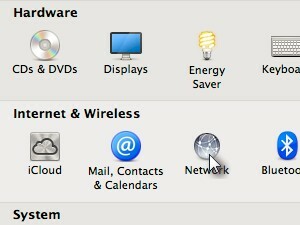 In my case 192.168.10.165 is the IP of my iMac and 192.168.10.129 is the IP of my router. To find out your public Internet IP address click here.